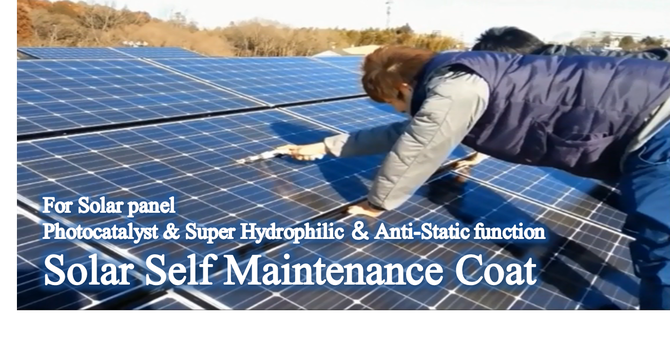 Photocatalyst ,Antistatic Super-Hydrophilic Self-cleaning coating for Solar Panel. It is 2 liquid type. Mixing ratio of liquid A and liquid B will be 1:1. Please stirring gradually added a solution B to solution A. 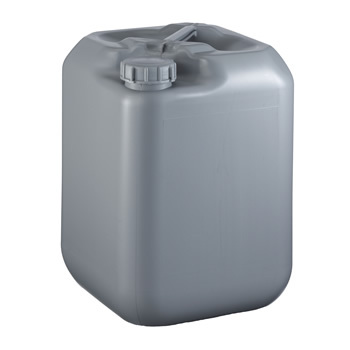 This solution is methanol based coating. It needs to pay extra shipping costs and customs. It has a possibility to take 2~3 months to delivery depending on the area or country. ・For coated float glass, we conducted a weathering test of 1,000 hours under 85 ℃ room temperature and 85% humidity indoor environment (15 years equivalent), the results no problem. 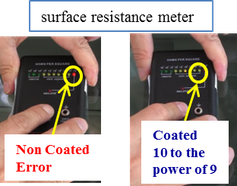 ・After weather resistance test, passed the following three items for the degradation situation on the surface. Ultrafine particles of tin oxide (SnO2) has many free electrons, and the electrical resistance is low, (surface resistance ~ 109Ω / □). It's prevent to adsorb and adhere of the fine dust and particles floating in the air. Also it works for the inorganic dirt such as exhaust gas and coal ash, and yellow sand or iron powder which cannot be decomposed with photo catalyst. 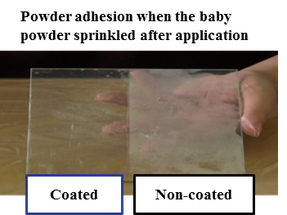 Creating an even on the surface of the glass by using 100 to 200 Nano-sized silica, unlike the super-hydrophilic effect of the photo catalyst, it can make a constantly super-hydrophilic film without the irradiation of light. Contact angle is 5 degrees or less , so the rain or water enters the bottom of the dirt and it washes away the dirt. 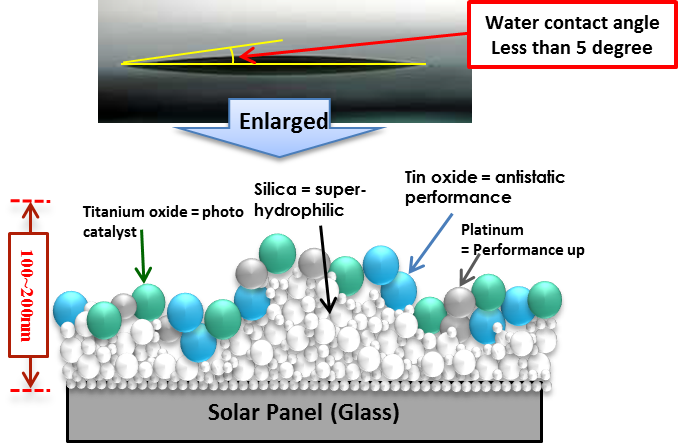 Water makes ultra-thin film on the substrate, it is called a super-hydrophilic film. 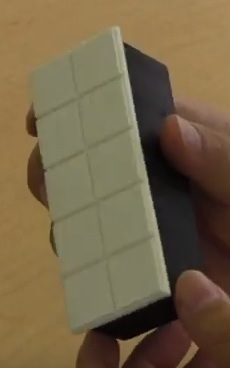 The surface of the substrate looks flat, but there are fine unevenness invisible when it is expanded. 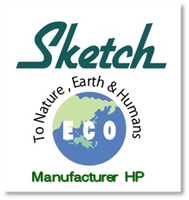 To control a variety of particle size (2nm ~ 10nm) of the silica and tin oxide by SKETCH binder technology and it enables adhesion to any material. Also, because it is using a very small particle size of the silica, the photo catalyst and antistatic agent comes out to the surface, it will be able to add a very efficiently function. 1) Decide coated and non-coated area and wash with water both to clean. 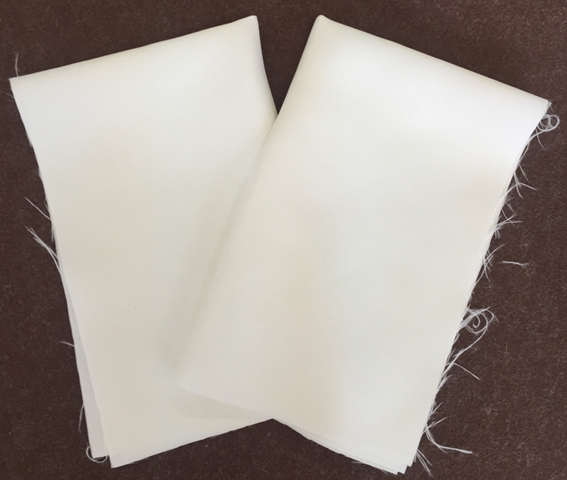 2) Fold micro-fiber cloth to small and apply small amount of coating. 3) Apply by hand only the coated surface on the vertical and dry. 2)Sprinkle to baby powder to coated and non-coated area. 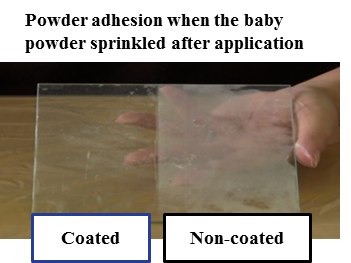 3)When you shake the powdered substrate, the adhesion of baby powder reduces on coated area. =Confirmation of the antistatic effect. 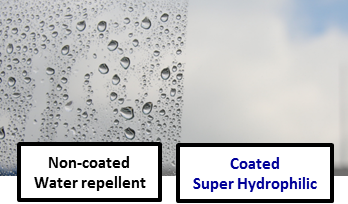 4)The coated surface becomes super hydrophilic film when you spray water and wash baby powder. 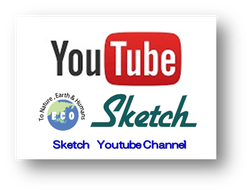 =Confirmation of the super hydrophilic effect. 1)If the substrate has become white when coated, determine the amount of coating was large. 3)No rain or snow when you apply outdoor. 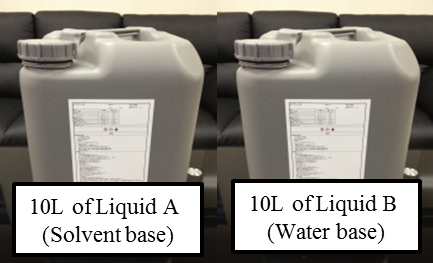 4)If the surface temperature of the substrate is not less than 30 degrees, liquid will volatilize before forming. Apply to cool substrate. 5)Depending on the resin base material, it may not be applied. 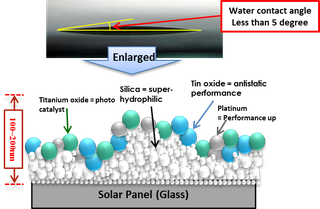 Removing oil film on the surface of solar panel. 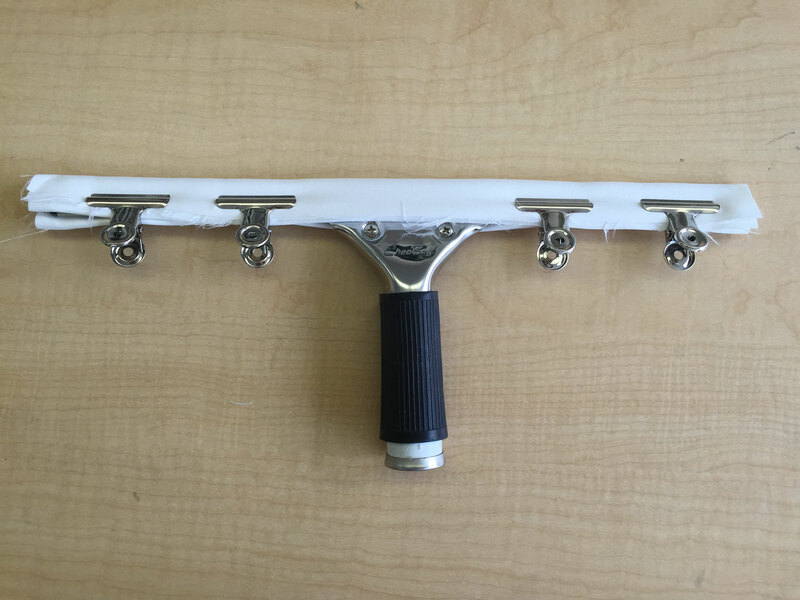 It uses 10g/㎡ with original Pad&Buff or polishing devices. 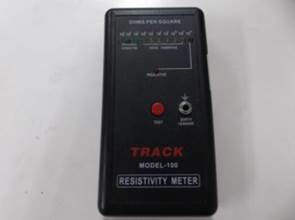 This device can verify how much conductivity is.We can see anti-static performance.